Incentives are available to residents of Alberta for this course, with the incentive being applied directly at the time of course registration. E-Pro Members may be eligible for an additional incentive from Energy Efficiency Alberta. Email epro@efficiencyalberta.ca to find out. The Certified Energy Auditor (CEATM) certification program focuses on audits for commercial and industrial buildings only and does not qualify participants to perform residential audits. The CEA certification is issued by the Association of Energy Engineers based in Atlanta, US, and the program is based on ASHRAE standards. CIET’s CEA training program is not related to Enbridge’s or other Ontario home energy auditing programs. This three-day training is designed to expand participant knowledge in energy auditing as well as serve as a preparatory vehicle for the examination required to achieve AEE's CEATM credential. It provides the fundamental knowledge needed to evaluate how energy is being used in a facility and identify where consumption can be reduced. Additionally, it covers useful calculation methods and practical examples. The examination is administered on the morning of the 4th day. To raise the professional standards of those engaged in energy auditing. To provide structure to the practice of energy auditing in light of ASHRAE definitions for audits ranging from preliminary to investment grade. To provide the recognized CEA™ credential to professionals who demonstrate their knowledge of the principles and practices of energy auditing through the certification examination and who have appropriate related experience. Steven is the senior Technical Specialist at SNC Lavalin O &M Toronto. His current duties include the preparation of life cycle replacement and energy management plans for a national portfolio of P3 projects. Steven is active in the application of energy management, predictive maintenance and optimized replacement strategies to increase asset life cycle value. He has held positions in property management, facility operations, commissioning and facility auditing. Most recently, he is providing training to facility operations and maintenance staff to help them obtain maximum energy efficiency from building systems. Recent projects include Auditing of Five star hotels and resorts, Commissioning of International Airports, Commissioning of Computer Centres, Expansion of Health sciences and long term care facilities. He holds designations including; OCxP Commissioning Process Provider, RPA Real Property Administrator, Certified Energy Manager, LEED AP O and M, Marine and Stationary qperating engineer. 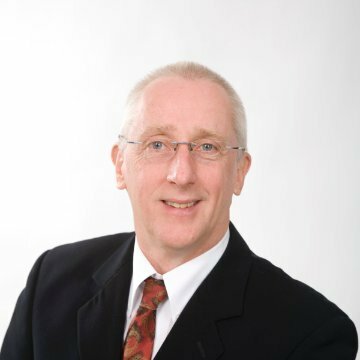 Steve has worked with the Canadian Institue for Energy Training over the last 5 years to deliver instruction for the Certified Energy Auditor and Building Operator Certification programmes. He is driven by the conviction that we can obtain better value from real estate assets by providing enhanced training to improve operator and maintenance staff performance. If you do not meet one of the eligibility criteria above, you can still apply for an in-training certification, CEA-IT. In order to gain the in-training certification, you must attend a CEA preparatory training seminar, submit the CEA-IT certification application and pass the CEA certification examination. The CEA-IT certification is valid for six years, which allows you time to meet the full CEA certification eligibility requirements. All CEA candidates must complete the Certified Energy Auditor 3.5-day Training Program. After completing your seminar registration, go to STEP TWO below. Please complete and send your application to CIET at info@cietcanada.com prior to the course start date. The CEA exam is administered at each seminar site, on the morning of day four of the seminar. Within thirty days of the date of the exam, you will be notified of your score. Your CEA Application form must be submited before your score can be released. If you receive a passing score and have submitted your CEA Application form, and if your file is complete including all supporting documents, your file will be sent to the Certification Board for final review. You will be notified at that time that you will receive the Board’s approval or denial within sixty days. A Certified Energy Auditor (CEA) may use the designation with name on organization letterhead, business cards, and all forms of address. Certification is for individuals only. The CEA designation may not be used to imply that an organization or firm is certified. Your completed application must be received 3 weeks prior to date of the examination for which you wish to sit in order to guarantee that you are pre-registered for the examination. After this date, you may be required to complete a waiver on-site if your name is not pre-registered. For information on maintaining your certification, please visit AEE’s website. If you have any questions about the CEA certification, please contact CIET at info@cietcanada.com. On the first day of training, you will receive your copy of the CEA workbook. This document is included in the course fee. If you are unable to attend the course, you may substitute another person in your place without penalty. All replacements, cancellations or postponements must be communicated to CIET by email at info@cietcanada.com.